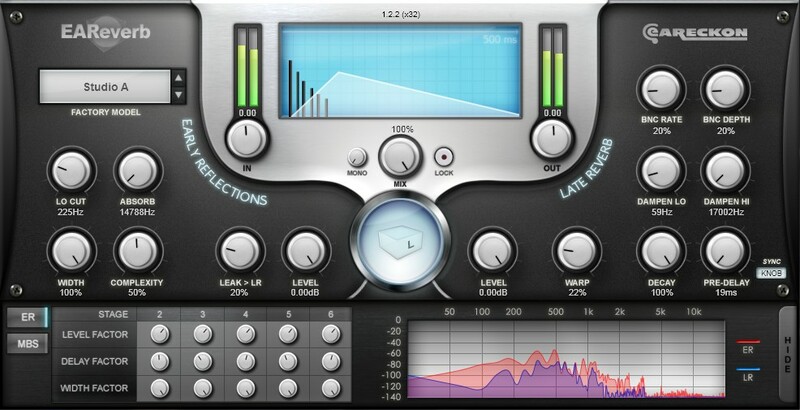 EAReverb, Software algorithmic reverb from eaReckon. Product replaced by the eaReckon EAReverb 2.
eaReckon has updated EAReverb to version 1.1.7. On Windows, the interface uses Direct2D (if available) instead of GDI+. The initial delay (latency) of the plugin should be correctly reported to your host. Knobs default values (CTRL/COMMAND + Left Click) match the last called preset. On Mac OSX, EAReverb’s frequency analyzer displays a smooth shape instead of a polygon. The last called preset is displayed in the top left box instead of “User defined” (which only appears when the state of EAReverb is set by your host, unless this state matches a known factory preset). 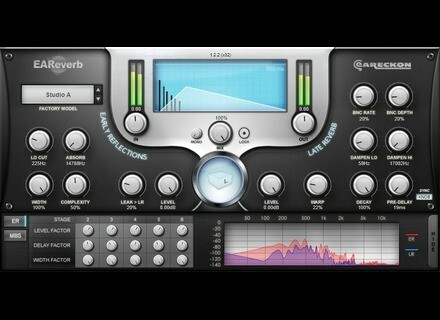 EAReverb now retains the displayed factory preset name when its interface is closed and re-opened. Detunized Day Time Traffic Piano for Ableton Live This collection features an unusual interpretation of a virtual piano library. Tek'it Audio Badass v1.1.2 Tek'it Audio releases the Badass 1.1.2 update, available now. Arturia Minimoog v2.5 Arturia announces a major update to its Minimoog V synthesizer, now fully compatible with 64-bit hosts.